H. Arlo Nimmo is a cultural anthropologist and short story writer who has conducted extensive research in the southern Philippines among the nomadic boat-dwelling Sama Dilaut. He has written twelve books and dozens of articles. Many of these publications are based on his Philippines research, but he has also written about American popular culture, San Francisco history and Hawaii’s volcano goddess Pele. Nimmo is currently Professor Emeritus of Anthropology at California State University East Bay and resides in San Francisco. 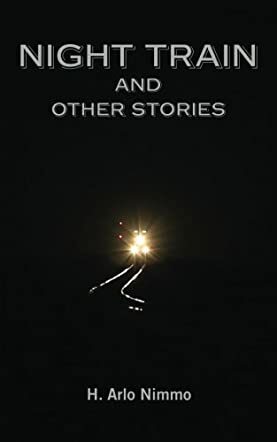 Night Train by H. Arlo Nimmo is a compilation of thirteen short stories written from an anthropologist's perspective with stories about various characters in unusual and exotic locations. The stories take the reader through many eras and locales and show the views of those times in fascinating character studies. Explore the world from times gone by; the beginning of World War Two, a flash of the Seventies, and a small taste of the Holocaust. Experience the prejudice surrounding Germany a year after The Wall came down. Travel the high seas with a writer and solve the mysterious disappearance of an abusive old man on a freighter. With many adventures and colorful locations, this book takes the reader on the journey of a lifetime. Night Train by H. Arlo Nimmo is a fascinating book of short stories. Each character has something unique to share with the reader. I liked how the stories focused on either a particular person or situation; by the end of the story the reader has learned something new. I found these stories to be more of life or human studies than just short story fiction. Each chapter has the reader peeling back another layer of understanding into humanity. I could easily see this book being used as a teaching tool, though, I must warn the reader that there is some subject matter that isn't appropriate for children under eighteen due to some explicit LGBTQ content. I would recommend this book to those that are interested in anthropology and historical fiction. Night Train and Other Stories is a collection of short stories written by H. Arlo Nimmo. Nimmo is an author and a cultural anthropologist, who is currently Professor Emeritus of Anthropology at California State University. His tales are narrated by an anthropologist as he travels throughout the world, while others seem to refer his experiences as a child and his student years. The opening story, Tinfoil Angels, is set in December of 1941 and recounts a child's impressions when hearing of the Japanese attack on Pearl Harbor. Those far away events assume a much closer impact when he learns that his uncle has joined the army and his father obtains a civilian wartime job which entails the family moving to an army base. There he becomes part of a youth-oriented drive to help with the war effort. He and his friends choose items they'll collect and his decision to collect tinfoil keeps him busy peeling the fragile foil off gum wrappers and out of cigarette packs and building a ball of foil that would, when given to his teacher, be with mingled diffidence and pride. The world seemed to expand its horizons for him and his friends as they interacted with the soldiers on the base, watched movies and learned to box at the base gym. And those balls of saved tinfoil come to have a much greater significance later on in his life. H. Arlo Nimmo's collection of short stories, Night Train and Other Stories, invites the reader to visit all manner of places and memories through the eyes of the narrator, and I was quickly transported to the 1940s in the above-mentioned opening short story. Each tale in this marvelous collection is a treat to read, but I did find myself choosing favorites as I read. I loved Loss at Sea with its air of excitement and anticipation as the narrator sets foot on Hawaiian soil, breathes in the lush and aromatic air, and realizes that his decision to pursue his studies on that island was a wise one indeed. Nimmo's character study of Zara Zakata, the renowned but unfathomable Polynesian scholar, and the changes that take place in her personality kept me reading on for more insights into those people who were memorable in this narrator's world. Patterns of Culture also studied a character, Leland, a young student from Singapore who flirts openly at the YMCA, but is condemned by his culture to return to his home, marry, and continue the family business, leaving his long-term gay lover and San Francisco life forever behind. But my favorite tale of all was Mabata. As with the subject of this story, Mabata is larger than life, lush and lovely, the Mormon Polynesian who was studying anthropology on scholarship to go back and help his people. The narrator was entranced by this "gorgeous hunk of a man", though he was not alone. "Everyone who knew Mabata fell in love with him." Night Train and Other Stories offers brief, beguiling and timeless looks into other cultures as well as into those oddities that are still inherent in what is considered the 'dominant' culture, all seen dispassionately by the anthropologist and shared minutely with his audience. I found mystery, adventure and romance hidden within these pages, and even caught a few glimpses of the spirit behind the writing. Night Train and Other Stories is most highly recommended.